Printing Copying | J. E. Bergasse & Company Ltd. The Document Centre is a division of the J.E Bergasse Group of companies. Created as a new brand for the group in 1999, it was conceived with the purpose of giving the St Lucian community a one-stop shop for all their printing, copying and production needs. 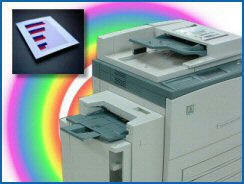 Our Document Centres are “powered by XEROX” with the latest technology. Our services include digital on demand printing, architectural and engineering services, wide format colour, banners, posters, and conference services to name just a few. Feel free to view our services pages to learn more about the many services we provide. Please contact us to discuss any queries or specific requirements you may have. We always aim to improve your productivity and working day. Each branch of the Document Centre is equipped with state of the art digital black & white and colour copying/printing capabilities. We produce high quality copies both short and long run work at amazing speed, copied on both sides on various quality paper or card at economical prices. We can collate, staple, fold and print all your documents at the same time. We produce high-resolution colour graphics & visuals up to 63″ wide in virtually any length. Our special indoor/outdoor inks and media are designed to enhance the appearance of your sign/poster and increase resistance to UV fading. Just bring in your existing photo, brochure or file and have us produce something special for you. To add the proper finishing touch, we also have facilities for laminating and mounting. There is no limit to our creativity; we use the most modern graphics hardware and software. Our experienced and talented graphic artists will produce your concepts and ideas the way you envisioned them. Come in and sit with our artist and we will offer ideas and suggestions turning your ideas into reality! We offer a range of services tailored for architects, engineers, construction and project managers and we have a reputation for delivering according to deadlines and budgets. We have three dedicated engineering machines to print and reproduce existing drawings in sizes from 8 ½ x 11 to A0. We can print any number of non-standard sizes on to a variety of media. We can copy, enlarge or reduce your existing drawings to any size in this range. We can produce convenient A3 bound sets for use on-site, for clients or meetings. We can print your proposal document with a combination of text, drawings and visuals all bound into one document. The printing requirements of architects and engineers have evolved over the years to embrace rich output that combines colour, photo quality renderings with sketches, 3D illustrations, and business graphics to impress their clients and potential clients. 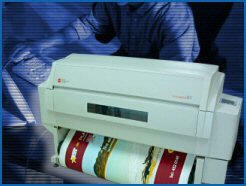 Our digital wide format printer can produce your colour graphics and visuals in any length up to 50″ wide. Use us to reproduce colour drawings and create site signs with full colour visuals at lower than ever prices. These services allow you to mount your drawings and visuals on presentation boards to create a greater impact when presenting your work to your clients. Our large format laminating machine allows us to do this on substrates up to 3/8th inches thick by 40 inches wide. Sending documents online saves time by eliminating the need to leave your office and having to copy drawings to disc. Click on ‘sending documents’ to learn more. We can receive your files as program files or print files – we work on windows platform with the most popular architectural and graphic packages. Please go to our file formatting page to learn more and download the necessary drivers, alternatively, we can send you the information on disc. We offer a courier service at a small additional charge if you are too busy to collect your drawings or documents. We will take care of your every conference planning concern including production and delivery of conference documents. Option include: saddle stitch, velo binding, perfect binding, comb binding, coil binding, in a variety of colors to complement your document design. Let us add that professional touch to your SBA, CV/Resume, Report, Training manual, or Business proposal. Achieve the desired look from our gloss, matte and satin laminating finishes. Our laminates enhance and preserve your important documents ranging from business cards to billboards, up to 44″ wide by any length. Mounting your graphic turns rollable prints into long lasting rigid displays. We have in-house facilities to mount any print job up to 48″x60″ on black or white foam core. The foam core is lightweight, durable, and stable to give your presentation that professional finish. A range of formats is available for printing page numbers in sequential order. 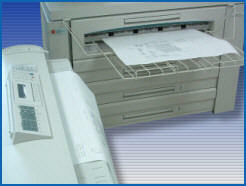 We provide a variety of options in which your printed sheets can be folded for e.g. scoring. Inserts small holes or slits into printed sheets, which facilitates tearing along a desired line. We offer a range of stands for use at exhibitions, conferences, in store promotions or reception areas. Establish an account with the Document Centre prior to sending documents online, to help ensure no delays with your order. Documents can be sent online in 2 easy steps! Please complete the Job Sheet form below to place your order. You will receive a confirmation email when we have received and processed your order. Save your documents in an appropriate format to be uploaded. Please remember to proof your documents before uploading. Click the button below to access The Document Centre’s external upload page and upload your documents. PDF is the best way to keep your design specifications intact when uploading your file. This format is a standard for transmitting layout-driven documents electronically to be printed or viewed at a remote location and is platform independent. PDF files can be created directly from Adobe applications. Adobe Acrobat software must be purchased to create PDF files from most other applications. 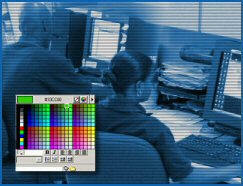 PostScript files are generally ready-to-print and can be created from most applications. However, these files are output-device dependent (one needs the driver for the specific printer to be used), cannot be edited and are usually significantly larger than the original file. EPS is a more versatile format than TIFF, JPEG or PS and can be used to encode bitmapped images, text and vector-based graphics in one file format. Most Graphics and Layout applications allow documents to be saved as EPS files. This is our preferred format for receiving files for Wide Format Colour work. This is a very versatile format that can be used to compress pixel data. The method of compression yields about a 50% reduction in the size of the original file and is nonlossy, that is, information is not lost in the process. To establish an account please call (758) 456-6559 or download our credit form and email completed form to dcinfo@jebergasse.com.